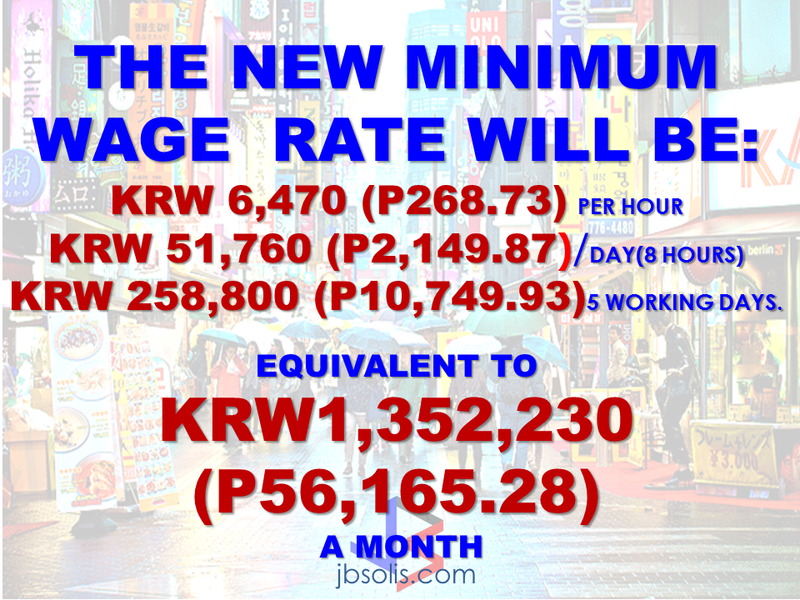 The minimum wage in South Korea will increase by 7.3 % next year and expected to benefit thousands of Overseas Filipino workers who are working there.According to the government estimate,there are at least around 24,000 OFWs working in South Korea. The Department of Labor and employment (DOLE) said that the new minimum wage rate will be KRW 6,470/hour or P268.73/hour from the current rate of KRW6,030 or P250.46 per hour starting next year. Translated to KRW51,760(2,149.87) per day on an 8-hour working day . KRW258,800(P10,749.93) on five working days.It is equivalent to KRW1,352,230 (P56,165.28) a month. According to Welfare Officer Manuela Peña,the increase was approved by the South Korea's Ministry of Employment and Labor. 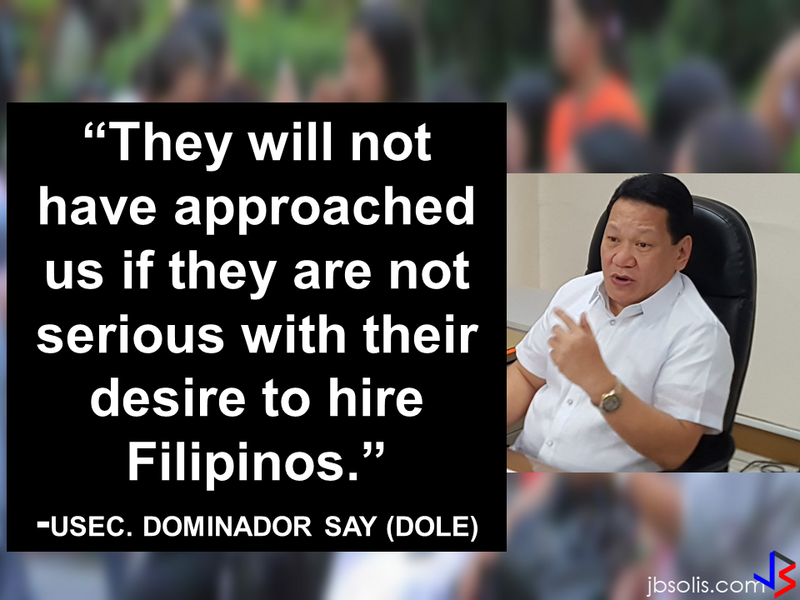 In her report to DOLE Secretary Silvestre Bello III,Peña said that all South Korea-based OFW in both small and medium manufacturing industries employed under the Employment Permit System (EPS) shall be included in the wage increase. Korea's Labor Standard s Act defined the minimum wage should cover all employees ,wether temporary,part time ,or daily ;regardless of nationality. The South Korean government will monitor all employment conditions closely,support employment,and supervise the work sites to make sure that the new rates is enforced through its labor standards Policy Department.